High Risk ACH processing involves an ACH debit to a consumer or business checking account where there is a higher probability of that debit being challenged by that customer/business as either “Not Being Authorized” or if consumer is unhappy “Authorization Revoked”. A High Risk ACH Processing Solution recognizes that certain businesses see more chargebacks and tends to be more lenient when it comes to enforcing NACHA rules. More lenient does not mean rules are not enforced. ACH rules allow consumers and businesses to dispute debits to their checking account. NACHA the governing body of the ACH network provides consumers and businesses protection again 1-Unauthorized debits and 2-”Failure to deliver” products/services. A business billing via ACH Processing must keep these dispute rates sub 1%. There are many legitimate businesses whose customer base is more likely to chargeback or dispute debits. Some common examples would include lending, travel, tech support, dating, credit repair, etc. Consider a Payday Loan Lender. They lend $500 to Sam Smith and then start collecting payments via ACH to pay back loan. There may be times where Sam Smith has very little money in his account. The $99 debit from the Payday Loan company was needed to pay rent. Sam disputed the debit and even though the Payday company has her written assent to debit [requirement for recurring debits] Sam’s bank upholds the chargeback and the Payday Loan company is out $99. This is an example of “friendly fraud”. The consumer knows very well they owe the money but still initiate and win chargebacks. In contrast to the credit card world the ACH world does not have a mature means of fighting consumer chargebacks. So the high risk ACH part is due to higher probability of chargebacks. But who has the risk? The Best High Risk ACH Processing Solutions also offer an ACH API that enables real-time payment reject reporting. 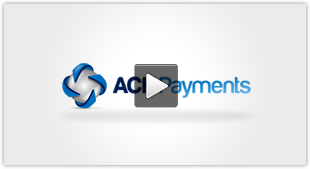 The faster rejected payments are know about the more options your business has to successfully collect payment. A chargeback handling interface where you can respond with your documentation supporting the debit is very important as often times chargebacks are manually reported. Strong communication and a willingness to work with your business on reducing chargebacks is another must have in a high risk ACH processor. Contact us if you have High Risk ACH Processing Solution needs.